The culture around supporting causes that many of us grew up with is still the culture today. Yet questions are rarely asked about where the money is actually going and how it will be used. Breast Cancer Action, in 4 Questions to Ask Before You Walk for Breast Cancer, notes that much of the money raised in cancer fundraising walks is often unaccounted for. As an example, it points out that The Avon 39 Walk to End Breast Cancer raised about $34 million from walks in 2015, but lists on its website only about $18 million as having been given in grants to breast cancer organizations, leaving the rest of the money raised by walk participants unaccounted for. For example, the very name of the Susan G. Komen Race for the Cure® Series suggests that the money raised from these walks will go to research. But Komen’s website states that only 25% of the money raised goes to their “research and training grants program,” a category that doesn’t even reveal how much is going to research. Komen has long been criticized for their small percentage of investment in research funding. A large portion of Komen’s budget goes to “raising awareness” and early detection programs. Is there a better way to support causes and charities that are important to us? The other approach, of course, involves choosing organizations to contribute to based on value rather than name only. A first step, in my opinion, is deciding what we want to accomplish with our valuable time or our donations. 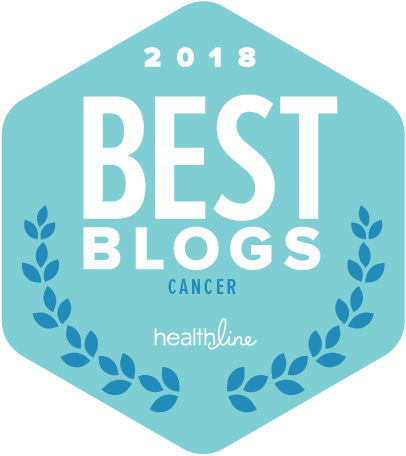 Among breast cancer charities, for example, there are excellent organizations that serve patients directly, including patients in medically underserved populations; that support innovative approaches to research; or, that work to increase understanding of the environmental causes of breast cancer. And then, once we’ve identified the type of organization we’re interested in, we really need to do our homework. Organizations that evaluate and/or rate charities–such as Charity Navigator, Charity Watch and the BBB Wise Giving Alliance are a helpful source of information. And for smaller charities that aren’t reviewed by the rating agencies, the organizations’ IRS Form 990s–which report on their activities, governance and financial information–can be accessed on the GuideStar website. Charity Navigator has also set a goal of adding a third rating dimension–Results Reporting–to evaluate how well a charity is doing in providing information to donors about its actual performance. In an August 2015 update on Results Reporting, CN said that “while some organizations are trailblazers and are well underway in their collection and publishing of results data, the majority of organizations have little information they are making publicly available.” In the meantime, while it continues to work on how best to evaluate this dimension, CN is publishing information on each charity’s top programs and how much they spend on each of them. So, what if you want to make a donation to an organization that is focused specifically on cancer research? In future posts, we’ll take a closer look at a few of these organizations individually. We may also look at some that are not on this list. Results may be hard to assess, but transparency around goals and how the organization’s money has been allocated and what has been accomplished with it seems to be a good starting point. I’ll do the homework on some of these organizations, and share what I’ve learned in future posts. « Clinical Trials: How Can Patients Benefit More?